After one year of hard work (no pun intended), here's finally a full length LP with 10 tracks of Motorhead/MC5 fueled hard rock/punk recorded in between 1980 and 1982. 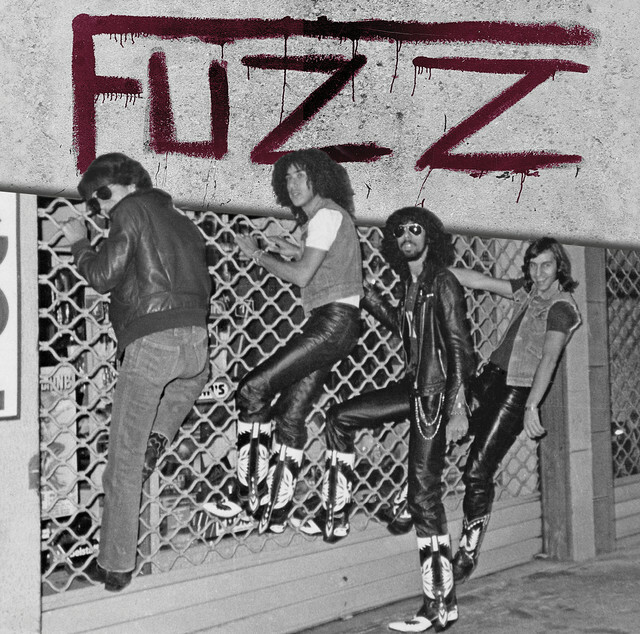 FUZZ was a band from Marseille (south of France) who released a great seven inch back in 1981. What we found out when tracking down the band is that they had recorded many more tracks in the same vein before calling it quits. These tracks being as good as their elusive seven inch, it was about time to make the best possible selection and consolidate a whole LP. Available now in hard stock picture cover with bio, printed inner sleeve with tons of pics, and additional paper lyric insert. I have that single, it slays! Nice to see a rerelease of their other material. Can you list distributors of this and other titles? Must own. I must certainly buy this soon. Really good French hard rockin/ heavy metal with a good dose of speed at times. doomedplanet wrote: Can you list distributors of this and other titles? Must own. Will keep you posted for sure. Nice to see some fans of the 7inch. Unfortunately I don't have one. Maybe you have an extra to sell?